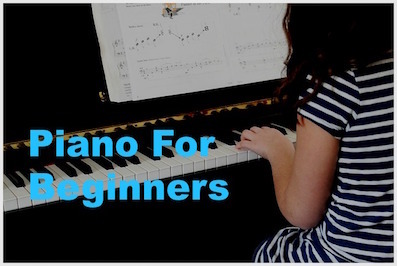 Beginning Piano Lessons: When is my child ready and how can I help? When should a parent consider beginning piano lessons for her child? For individual piano lessons, this tends to be around 5 or 6 years old. However, group classes or classes with parental guidance often start earlier. As a piano teacher for many years, I get requests from parents who would like to start individual lessons at age 2 or 3. Most children at this age are not yet mature to manage a lesson on their own and will be highly dependent on a parent-coach to learn and may still not progress at a good rate in playing the piano if motor skills are not yet developed. As such, my piano lessons start from age 5 onwards. Children mature at different rates, some earlier than others. This is purely a difference in character maturity, not at all a reflection of intelligence or ability. It's best to first expose children to music between the ages of 3 to 5. While motor skills may still be developing at this age, aural perception is keen. Join some group classes with good rhythm, solfege and aural training to develop a musical ear. As group classes tend to focus on musical aspects, not on playing technique, it's best to start individual lessons after about 1-2 years. If the child is not ready for individual lessons, just stay a little while more with the group class. It would fit the learning pattern of the child better and would be more beneficial in the long run. For child beginners starting at a young age, a nurturing parent and home environment is absolutely essential for the child to learn well. It's ideal if a parent has interest in music and can learn together with the child (even through individual lessons) or accompany the child to practice. Treat the time together as fruitful parent-child relationship building time. The child would soon enjoy this time together and appreciate music and piano practice. Is my child ready for individual beginner piano lessons? Colouring well "within the lines"
If your child matches most of the guidelines listed above and you can provide a supportive environment at home, it would be good to think about beginning piano lessons!